The area three police, on Wednesday, February 23 launched a mobile police station in Race Course, Clarendon, as part of efforts to service communities that are not in close proximity to police stations. At the launching ceremony organised by the police and the Race Course Community Development Council, held at the St. Thomas’ Anglican Church, in the community, business and civic leaders, and political representative for the area lauded the initiative as a means of ensuring the safety of residents. Keynote speaker, and head of the area three police, Assistant Commissioner of Police (ACP) Derrick Cockrane, called on the citizens to work with the police in solving and preventing crime. 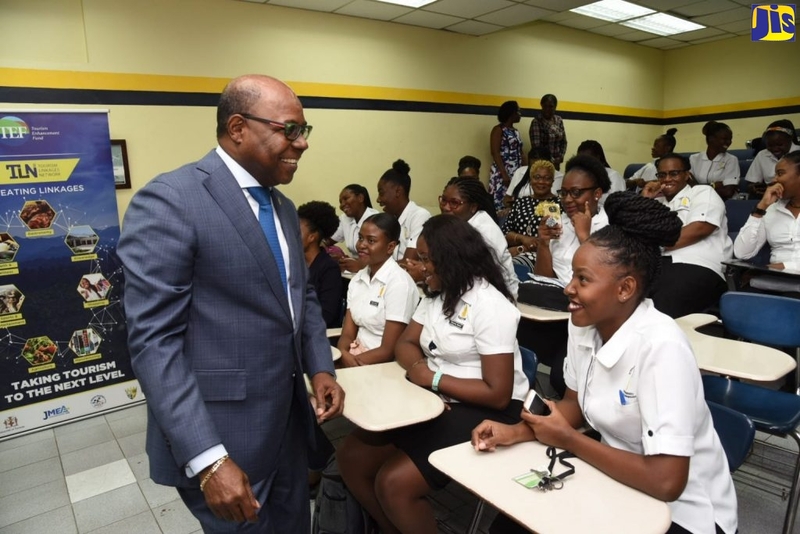 “The police and the citizens have to work together to create communities which are safe for us the citizens of Jamaica, and visitors to our country,” he said. “It is my wish that success will crown our efforts, as we continue this mutually beneficial relationship of the citizens and police working together to rid Jamaica land we love of crime and criminality,” he added. “We the youth, welcome the launch of a mobile police station, here in Race Course; this development is new to the community, and it should have a positive impact on our community,” a member of the Community Council, Alicia Graham said at the launch. Principal of the nearby Kemps Hill High School, Leebert Wright, told the gathering that, “there are decent people among us, and we must continue to build on what we have. We are richer this morning, and we are happy for that." Representing the business community, Kaye Charoo declared that, “this unit will enhance our security, and protection. Citizens, the unit belongs to me and you, and it is our duty to protect it."